Employment Opportunities – are you looking for a rewarding career? HawkEye Elite – Check out our new state of the art precision alignment service! Accidents happen. Cars break down. Tires go flat. It's a fact of life. So where do you turn when it's your car in need of repair? Thiel's Collision Center's towing and wrecker service will get your car off the road. We repair or replace glass, refinish paint, perform alignments, and fix collision damage in a dependable, customer-friendly manner. If it's time to drive something new, we'll help you get your old classic ready to roll or put you in one of our vehicles from the lot. Stop in today and we'll give you a fair estimate for your vehicle. Thiel's Collision Center knows cars. Let us get to know you. 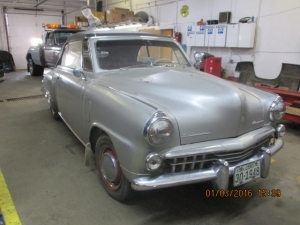 Thiel’s Collision Center has two major upcoming restorations. 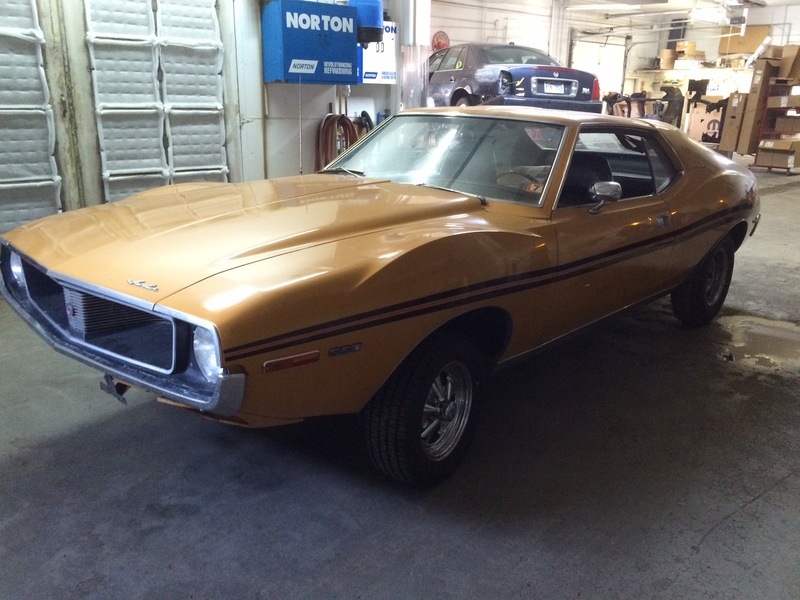 This 1972 AMC Javelin is our next major restoration. It belongs to Cyril and Charlie Haveman of Cheyenne Wyoming. It will be a “frame off” restoration. 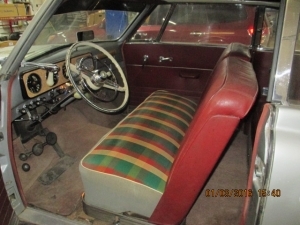 The car is a very clean and rust free vehicle. Next is a 1948 Studebaker Champion Convertable owned by Dave Geisler at Pioneer Auto Museum in Murdo, South Dakota. Be sure to check back on our website and Facebook page for updates!